Early on as a personal trainer, I became certified to train the pregnant and post-partum client. There isn’t a lot of information available out there for moms pregnant and post partum and even though I am not a mom myself, I was determined to help women to learn how to train while pregnant and post partum. 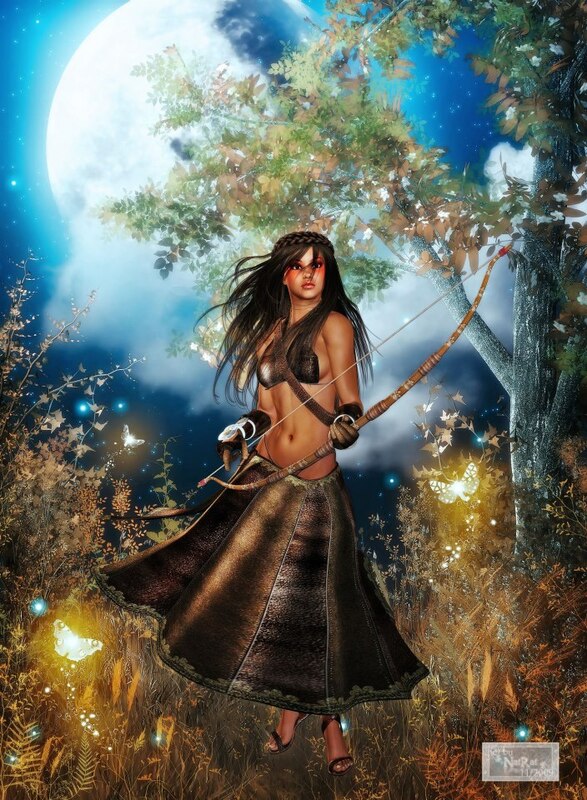 Perhaps it is because of my name “Artemis”, who was not only the Greek goddess of the hunt and the moon, but also the goddess of childbirth, and protector and healer of young girls and women, that I fe el strongly about helping women to feel strong and independent, moms (pregnant or past pregnancy) and beyond. While helping my clients I have learned that it is a journey for moms and if you are a mom reading this post, then I am sure that you can attest to the fact that it is indeed a journey. Over my years as a personal trainer and a coach I have trained both clients pregnant and post-partum. The most common theme that I noticed with my post-partum moms and moms who have children and no longer fall into the post-partum category, is that they want to get their pre-baby bodies back or rather feel happy and love their bodies again. They often feel lost and uninspired, like it’s a struggle or a journey they are not sure they want to overcome or embark on. I have worked with many women with diastasis recti, which is abdominal tissue separation of the linea alba, some cases much more severe than others. Many of these women came to me because they were told that they would need to have surgery and they did not want to have surgery. In some very severe cases, yes, surgery is necessary, however, it is possible to reduce and even eliminate the tissue separation by retraining the abdominal muscles through proper training. I have clients who can attest to this fact. A little over a month ago I was speaking with one of my clients, Melinda, who has been training with me since November 2010. Melinda is a mother of three and was diagnosed with diastasis recti after giving birth to her third child. We were talking about how one of the biggest challenges for moms after they have children is that they want to have their pre-baby bodies back but a woman’s body changes after having children, of which, many changes are permanent. Let’s face it, as we grow older no matter what, children or not, our bodies change and as these changes happen we learn to love our bodies with every age. It is the same thing for moms. No matter what age a woman is, when a woman has a baby, her body changes, often permanent changes, that can be challenging to accept or put into perspective. Even though I do not have children, I have been side by side with my female clients who are moms on their journeys as they train to become strong again and love their post-baby bodies. As their coach, I have watched them change, grow, get stronger and truly fall in love with getting stronger than they ever have been before in their lives and loving their post-baby bodies no matter what the change. What’s important is not to try to achieve the body that the mom had before she had children, but rather, to achieve the best body she can have with her current body, post children. For example, I wouldn’t try to have the body that I had at 28 now that I am 38. No, I’m going to have the best body I can possibly have at age 38 and I love my body more now at age 38 than I did at age 28. More than the appearance of my body, I love how strong my body is and what it can do. This is the message I communicate to my clients, both moms and beyond, love your body for its strength and for what it can do, and in turn you will love the appearance of your body. 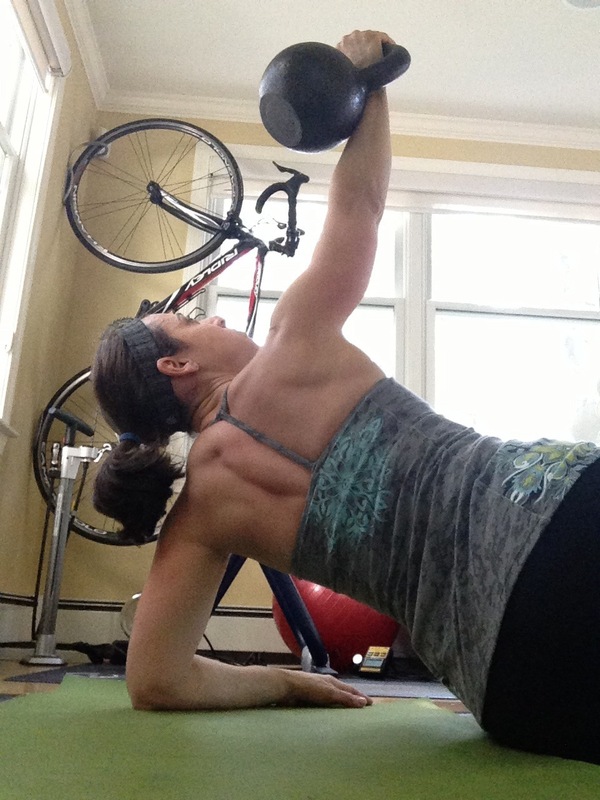 When Melinda started training with me, she was using 10lb kettlebells and could not do a bodyweight pull-up. Now, almost four years later, Melinda regularly uses kettlebells ranging from 35-40lbs (16kg-18kg), both single and double bells with these weights, and can overhead press 44lbs (20kg), do a Turkish get-up with 60lbs (28kg), and do sets of 5 bodyweight pull-ups. She is presently working towards a goal of a one-arm push-up and a standing ab wheel rollout. Diastasis Recti, I don’t think so! There are no limits and Melinda recently turned 40 this past December 2013 and she loves her post-baby body. In speaking with Melinda we decided to write a joint post about loving your post-baby body as mom. Melinda has a tremendous journey that I’m sure many moms can relate to. With this post I hope to inspire other mothers to share their stories and journeys with me. There is not enough information out there for moms on this topic, and with this post Melinda and I hope to gather more information to help moms get started on the journey to loving their post-baby bodies. My hope is that I will have enough story responses to compile into a follow-up blog post to this one to share on my blog. If you would like to share your post-baby body story with me then please share it either in the comments section of this post, on Facebook, or via email to me at artemis@ironbodystudios.com. I hope you enjoy reading Melinda’s journey and I very much look forward to hearing yours! I have been training with Artemis weekly for what will be four years this November 2014. As a mother of three, I was diagnosed with diastasis recti after my third child. I wasn’t able to bounce back to my pre-pregnancy shape the way I did after my first child and I wasn’t sure if I would regain my pre-pregnancy abdominal strength. Training with Artemis with kettlebells and for strength has transformed my body. After having my third and last child, and over the almost four years that I have been training with Artemis, I’ve learned that we all go through changes and we’re not always happy about them, and it takes time to readjust. We also don’t know what will keep changing and what may not. It is a product of growing older whether we have had children or not. Below is a timeline of my body transformation before I had my first child, to after I had my third child, and to today. This is me about 9 months before I became pregnant with my first child. 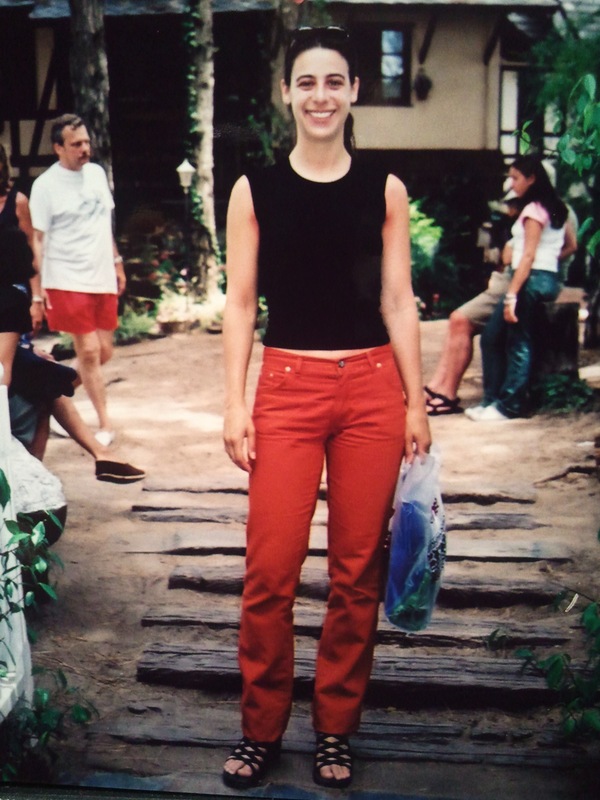 I was very thin, vegan, and I got my exercise from dancing (mostly salsa and club dancing), rowing crew for fun (not competitive) and roller blading. I was a perfect size 4 for most brands, (although I was a 0 for some other brands!). This picture is a testament to how strength training can change a person’s body. Note: I am a size 4 now, but my body is shaped much differently than it was in the picture above. I am no longer vegan and I’ve found that while weight training, I may remain the same weight but I will go down in clothes size. It’s an amazing transformation! By about 9 or 10 months after having my first child and again after my 2nd, I was happy with how I lost my baby weight, and although my body was a bit different (I was nursing so my breasts were bigger and my calorie intake was somewhat dependent on my nursing), I didn’t find it to be significant. After my third child was born, which was a difficult pregnancy for me, it was a bit more difficult to rediscover my body as I expected it to be. But therein lay the problem. I was still expecting my body to be able to go back to the size and shape it was before kids, but that was actually technically impossible. My feet had grown bigger. My rib cage and hips had expanded to accommodate the developing babies I carried for 40 weeks each time. And my belly still had a little pouch that had never been there before I had kids and had more or less gone away after the first two. 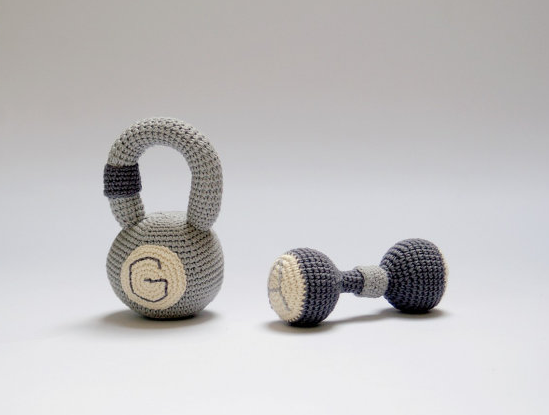 After my third child I started training in modern dance again, and I started personal training, eventually focusing almost uniquely in kettlebells. What I have discovered is that I have a new body with new features and new strengths, new sizes and shapes, and that new body is just what it should be. Me on the eve of my 40th Birthday! I am proud to walk around in my new body that was home to three developing babies for a total of nearly three years; a body that fed my babies breast milk for a total of eight years; and a body that is strong enough to hold my 85 lb child in my arms like a baby. It’s frustrating that moms-to-be and new moms are told over and over again how to “get your body back” as if most women CAN and WILL get their pre-partum bodies back. For most women, this is just not possible as pregnancy and birthing and nursing DOES change your body because it is SUPPOSED TO. 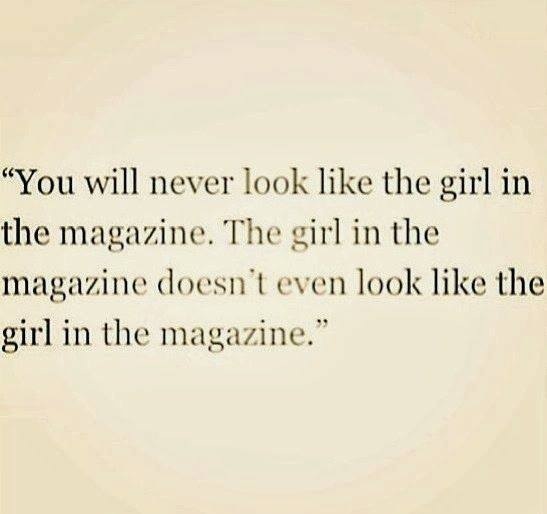 Just as women have to constantly tell themselves they should not be comparing their bodies to models (who are photoshopped constantly) or other women (who have different genetics than they do), we also need to learn that we should not be comparing our new bodies to our prior bodies. We need to embrace our new bodies and learn to love them while still aiming for reasonable goals that we are truly capable of achieving. This is me after three children and four years of post-partum regular exercise, healthy eating (I’m now an omnivore who focuses on local and organic food). I may not look as young or as skinny as my prior self, but I’m really proud of who I am, how I feel, and what my body can do. As moms, we need to stop comparing our post-partum bodies to our pre-pregnancy bodies. For most people it just won’t be the same and some of us may need to work really hard to repair our bodies after pregnancy (like in the case of diastasis recti) and some may not. It’s fine to have goals for ourselves and for our bodies as long as they are appropriate for our new bodies. We can still love and appreciate our former bodies but finding joy and happiness in our new ones is healthy for us and important on our current journey with our post-baby bodies.